Blogger, Linda Washington at El Space – The Blog of L. Marie is a very talented and compassionate woman. She has sent me numerous packages filled with colorful crocheted flowers and shoes she just whips up. When she read that I was ill, she sent me another package with more flowers and a heart. Her kindness is humbling. She has written two posts about missing out on opportunities to capture monarch butterflies she sees fluttering, with her camera. 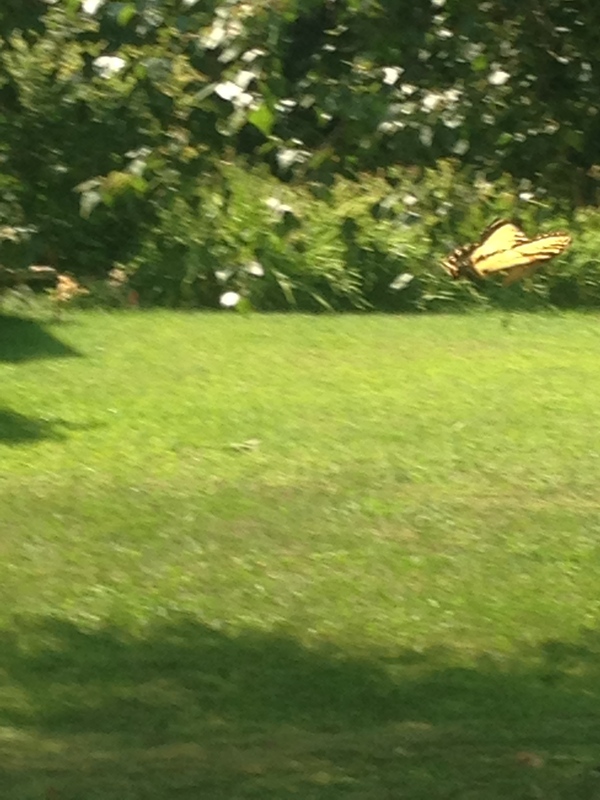 It seems she keeps missing out due to the quick fluttering movements of these gentle flying wonders. They keep getting away! Today, as I was getting ready to leave my home, I noticed this Swallowtail butterfly, fluttering around my hanging plant. Her coloring so bright and beautiful. I immediately thought of Linda. I had to get a picture of it. Click, click, click. There it remained. Not easy to do! Nice pictures. Yes! Butterflies and not staph infections. 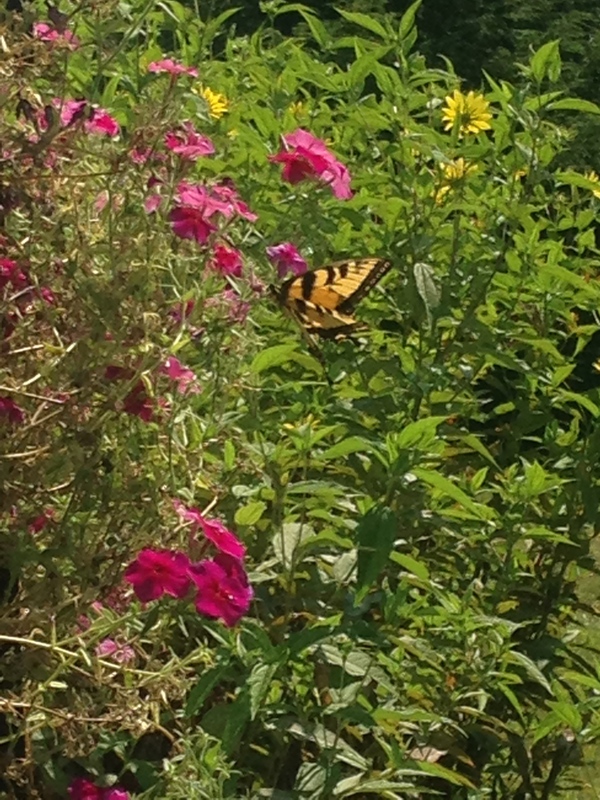 Beautiful photos, and hats off to your caring and butterfly loving buddy. Glad you’re feeling better. A gift of beauty, Mrs. B. Nice shutter finger, my friend. Those are awesome… we get a lot of those here. Yes, they are common here as well. 🙂 She was a trooper posing for me and all. What a giving post, Maria. 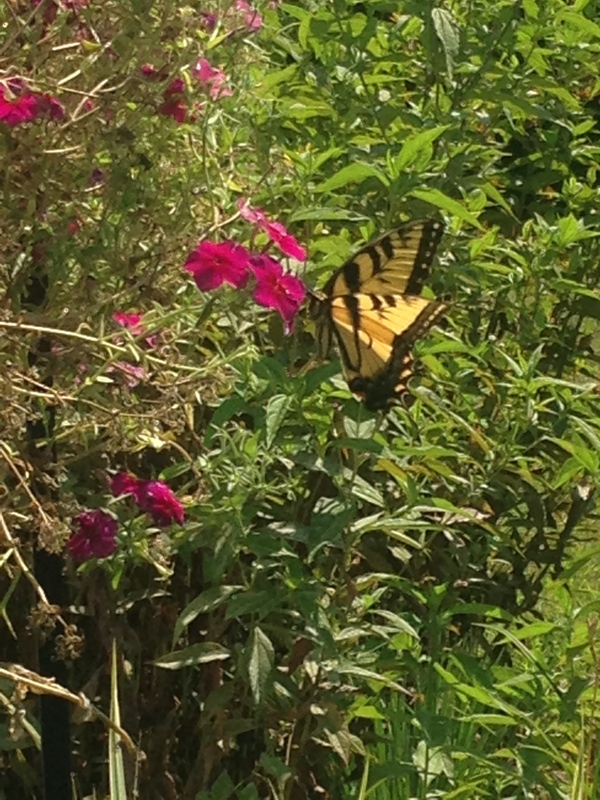 Linda is great, and I’m glad she has some butterfly pics to savor. Oh Maria, your post made me cry. Thank you so much for the beautiful photos! Perhaps that’s why I was unable to get a good picture. You needed to be the one to do it. That’s the great thing about the blogging community (and community in general). This post made my day (which started off bad with the Internet being down). Aw…thanks, Maria! I’m so happy to hear you’re feeling better! Yes, Linda’s heart is HUGE!